At some point during your exploration of Wicca, you’ll probably want to know more about covens and circles, and how they differ from practicing as a solitary. Below you’ll find an introduction to these potential paths, and how to find like-minded others to learn more from as you navigate your Wiccan journey. One of the many things that set Wicca apart from other religions is the seeming lack of direct access to other people who practice it. There’s no church, temple, mosque, or other official building where you can approach leaders with your questions about Wicca. But depending on where you live, there may be a community of people—perhaps a practicing coven, or else a more informal Wiccan circle—whose members can provide you with some personal perspectives on the practice of Wicca. And depending on their circumstances, they may even invite you to join their group. You can start with an Internet search, as well as combing through community calendar listings in your local news publications. If you live near a shop specializing in “New Age” or even specifically Wiccan items, see if they have a community bulletin board, or inquire with staff members. Some covens and circles actually put on public rituals, often on the solar Sabbats (equinoxes and solstices), and will usually advertise these events with flyers and/or community calendar listings. Of course, some covens and circles are quite private, with no desire to add new members. It’s important to respect this, even if you do somehow discover their existence. The word “coven” originally comes from the Latin word for “come together,” and was used in the Middle Ages to describe gatherings of all kinds. Covens became particularly associated with Witches starting in the 1600s, and especially in the early-to-mid 20th century, as the interest in reviving “the Old Religion” was gathering steam. But what is a coven? The traditional notion of a coven is a 13-member group of Witches who meet in secret to worship their deities and work magic. In the early forms of Wicca, this group included a High Priestess and High Priest, who represented the Goddess and the God. There are still many traditional Wiccan covens around today, who can trace their initiatory lineage back to the original covens of Gerald Gardner or Alex Sanders. Many other covens, however, may be more eclectic in their practices, borrowing from a number of traditions and adopting more egalitarian, rather than hierarchical, leadership structures. Regardless of tradition, most Wiccan covens will hold a formal ritual of initiation for new members, who will spend considerable time in study and preparation before undergoing initiation. Many also follow traditional degree systems, which offer opportunities for more advanced study once a person is initiated. The first degree is obtained upon the initial initiation, and after further study and practice, one can move on to the second degree, and then the third. The specific requirements for each degree will depend on the tradition one is following. Typically, a Wiccan coven meets to observe Sabbats and Esbats, and may also gather more informally in between these occasions. If a coven is looking to add new members, they will want to spend time with potential initiates as well. Coven members often form very close bonds with each other, and may even consider the coven to be like a family. As with any group, the overall energy will change with the addition of new people, so all involved should take their time deciding whether a given person would be a good fit—including the person seeking to join! Again, there’s a big difference between this situation and joining another type of religious organization—your presence or absence in a church makes less of a difference to the whole group than it does at a Sabbat or Esbat ritual. So you really need to be willing to make a dedicated commitment to reliable participation. 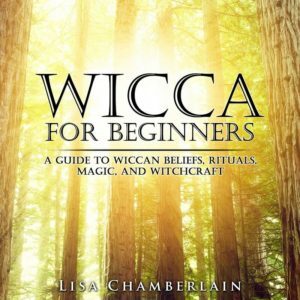 If you’re brand new to Wicca, however, it’s unlikely that you’ll be joining a coven right away. 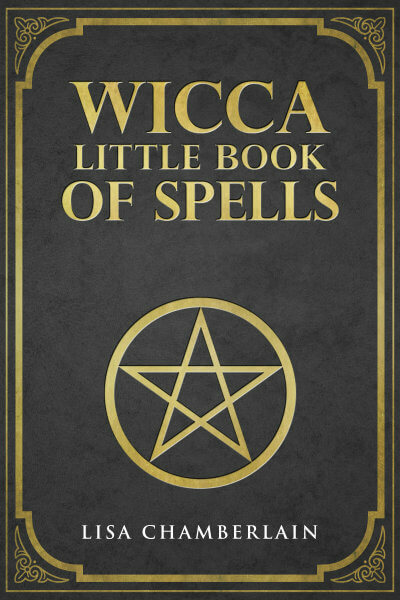 Most covens require at least a year and a day of studying Wicca—and possibly longer—before you can be eligible for initiation. This is a good thing, since it means you’ll be prepared to participate in group ritual, and it keeps you from making such an important decision too soon. If coven membership seems too big of a step, but you’d still like to meet and socialize with other Wiccans in your community, consider finding an informal Wiccan circle—or start one of your own! A circle is a more informal group whose members meet to discuss and learn about the Craft, and may experiment with an eclectic blend of practices in terms of ritual and magic. A circle may or may not involve a regular Sabbat and/or Esbat schedule, but if these holidays are observed, attendance is generally not mandatory. Depending on the overall preferences of the group, there may be many members, some of whom drop in and out as it suits them, or just a few regularly involved friends. The structure of a circle is generally loose and doesn’t require official initiation or involve an established hierarchy. Beginners are often welcome, and you’re likely to find a wide range of knowledge and experience levels in a circle, where everyone contributes their own perspective. If you simply can’t find any like-minded individuals in your area, don’t be concerned. There are many online communities of Wiccans and other Witches to explore, and there are also many benefits to solitary practice. In fact, the vast majority of Wiccans in the 21st century are solitary practitioners. Getting to know the spiritual and magical aspects of the Universe on your own can be very rewarding! If you’re certain you want to work with others, however, you can call on the Goddess and God to draw the right people to you. Then be patient, trust divine timing, and your coven or circle will eventually appear on your path.